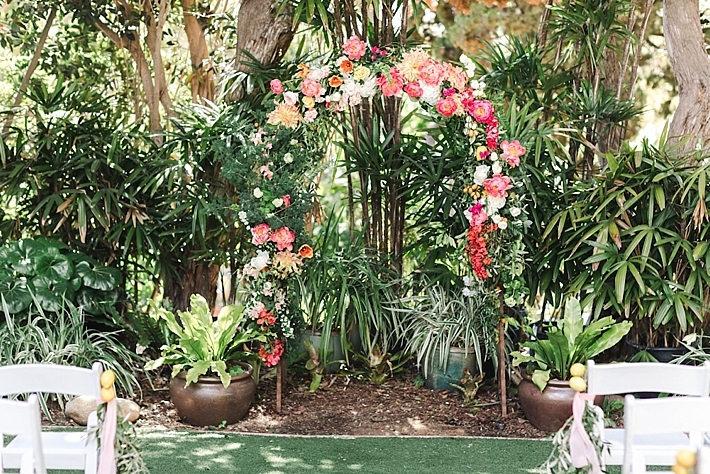 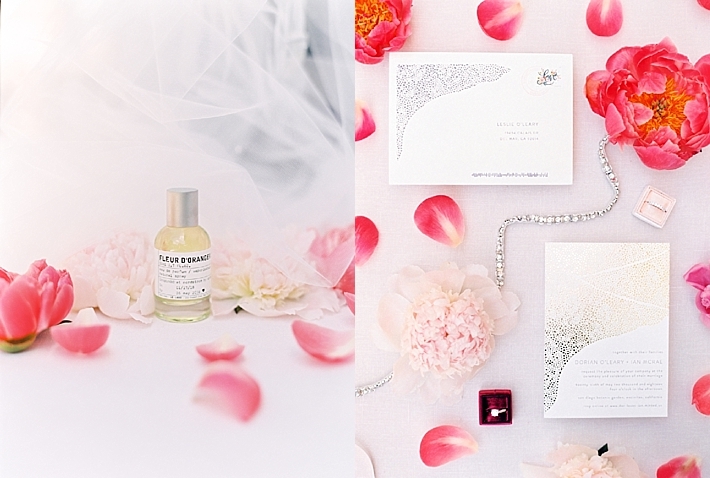 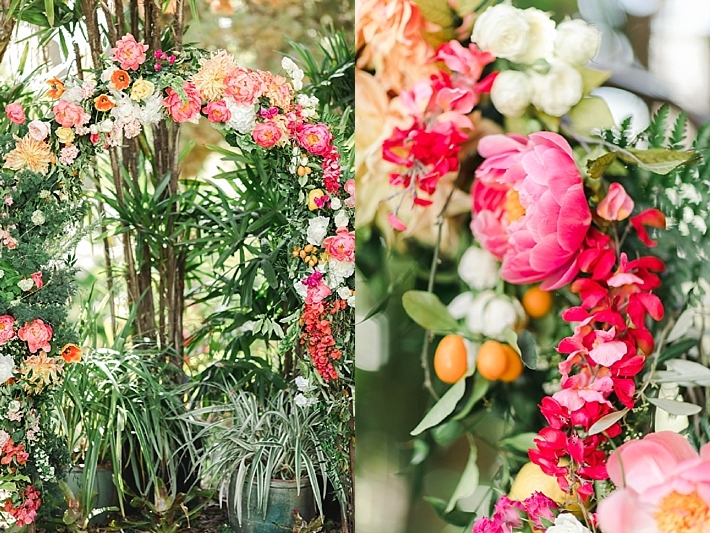 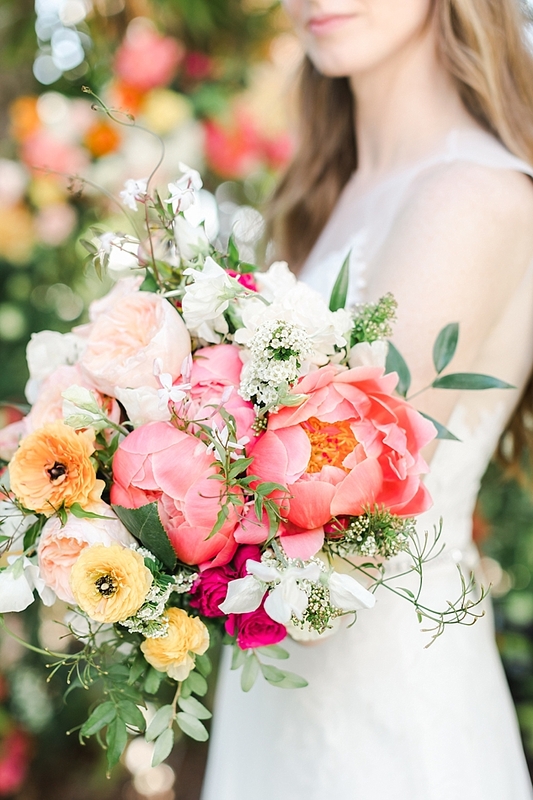 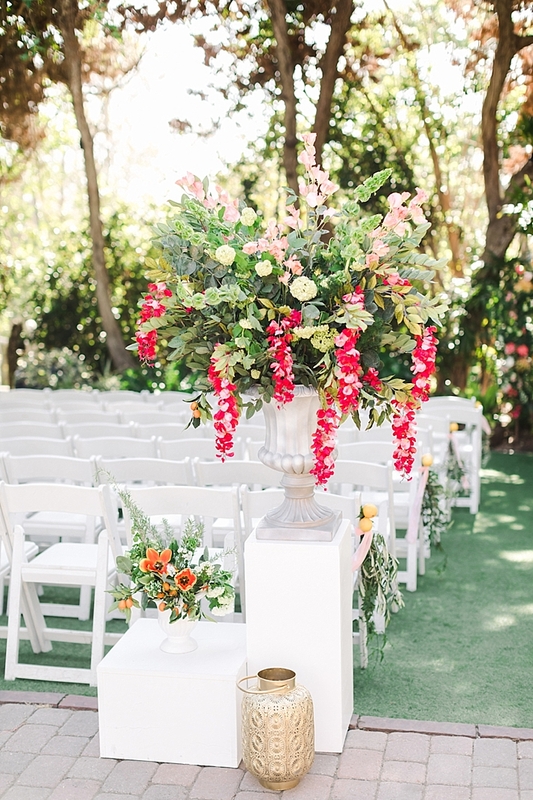 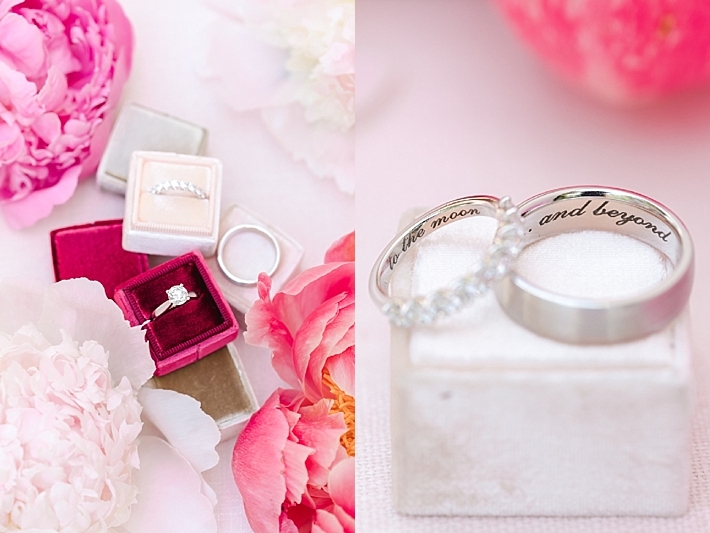 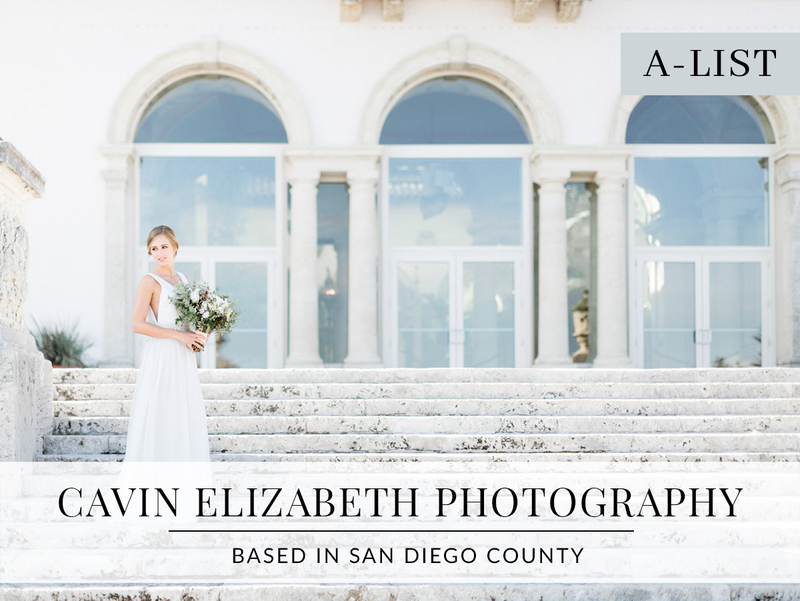 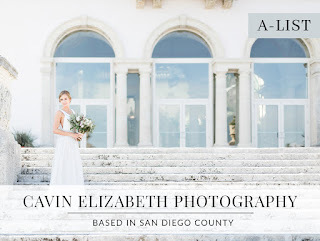 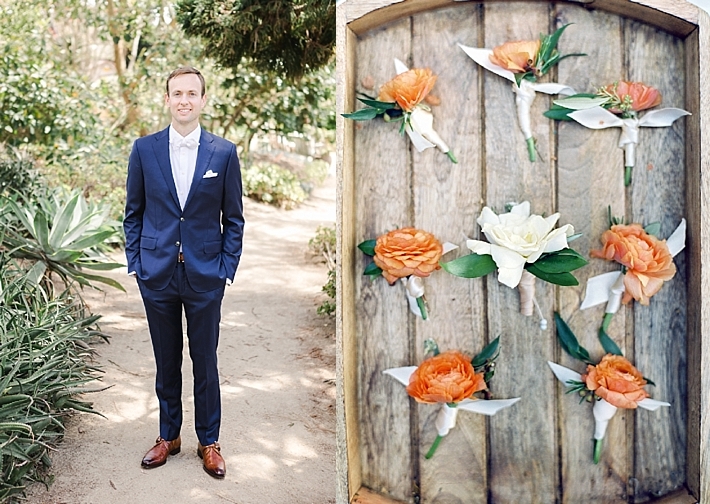 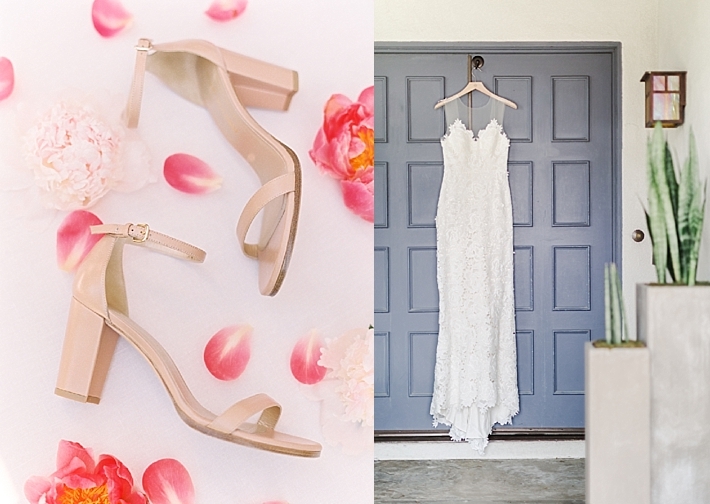 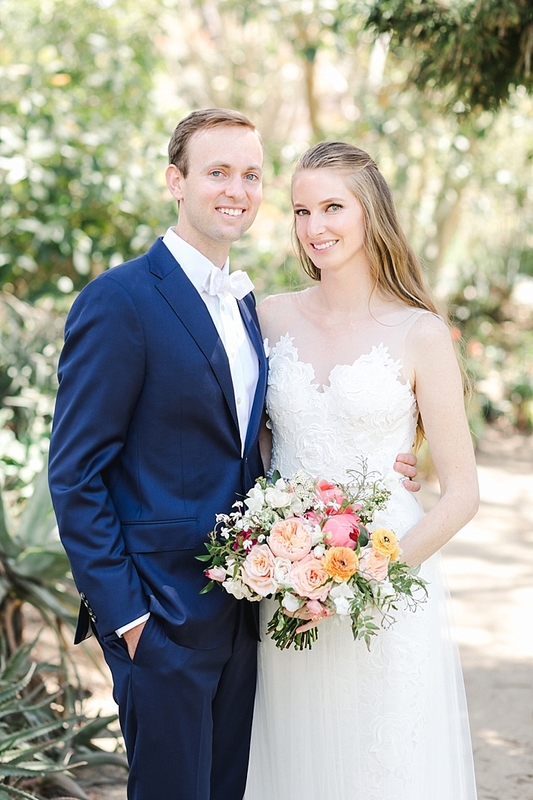 "Oh how I adore color, which Dorian and Ian's San Diego Botanic Garden wedding is not short of. 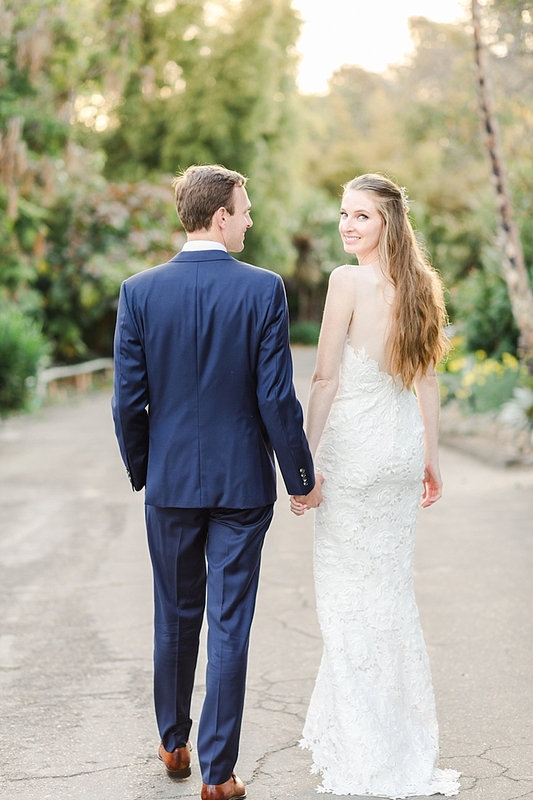 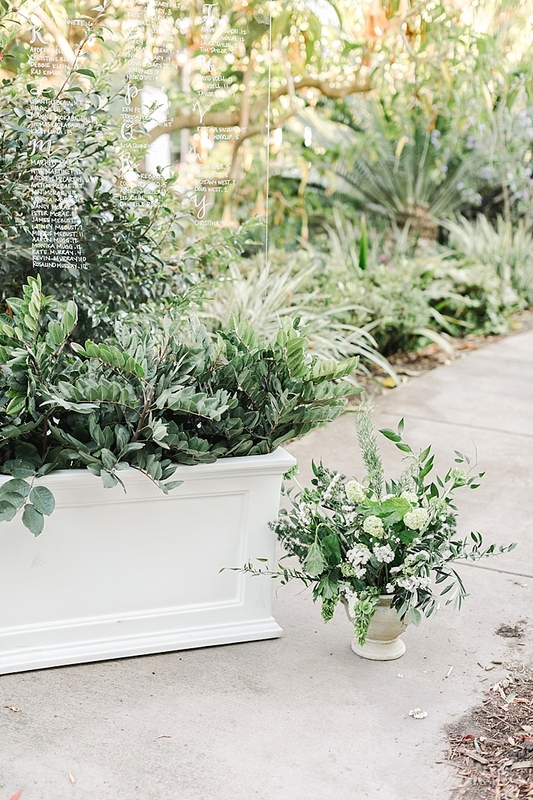 As a location they visit often, the gardens provide a beautiful organic backdrop for weddings. 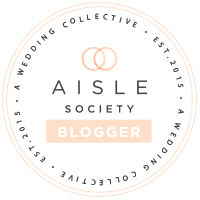 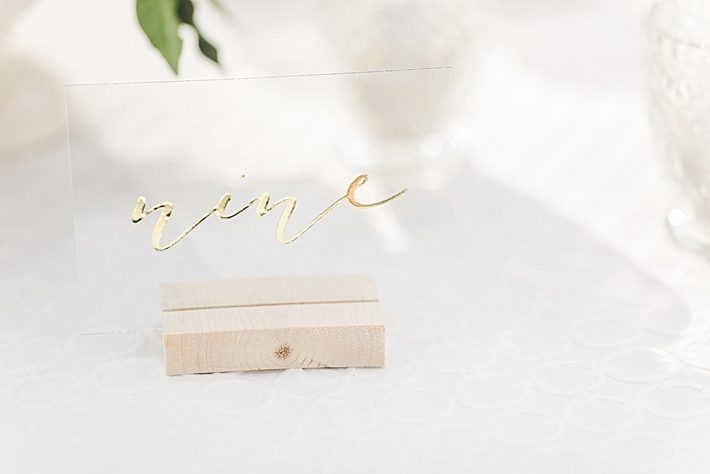 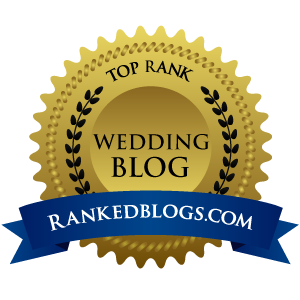 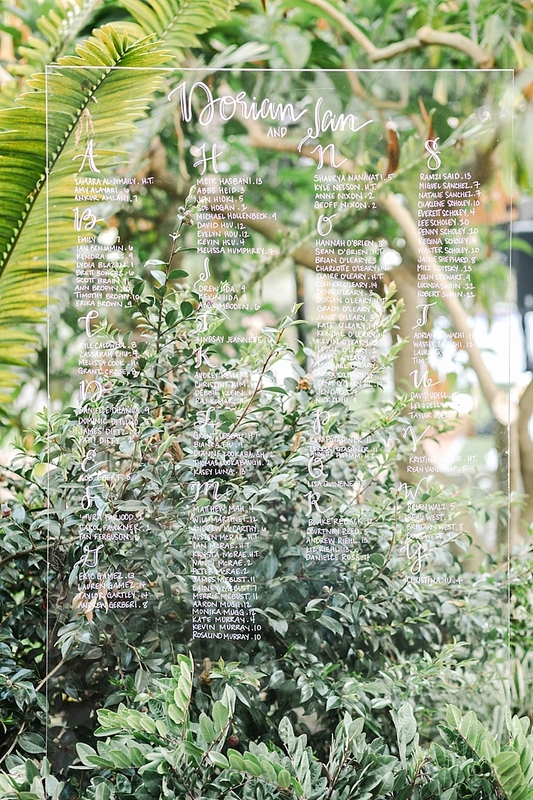 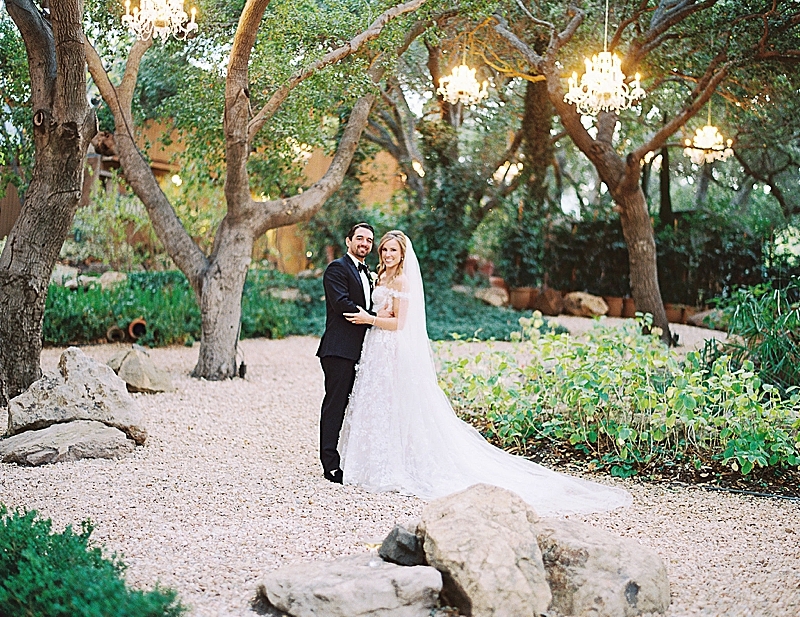 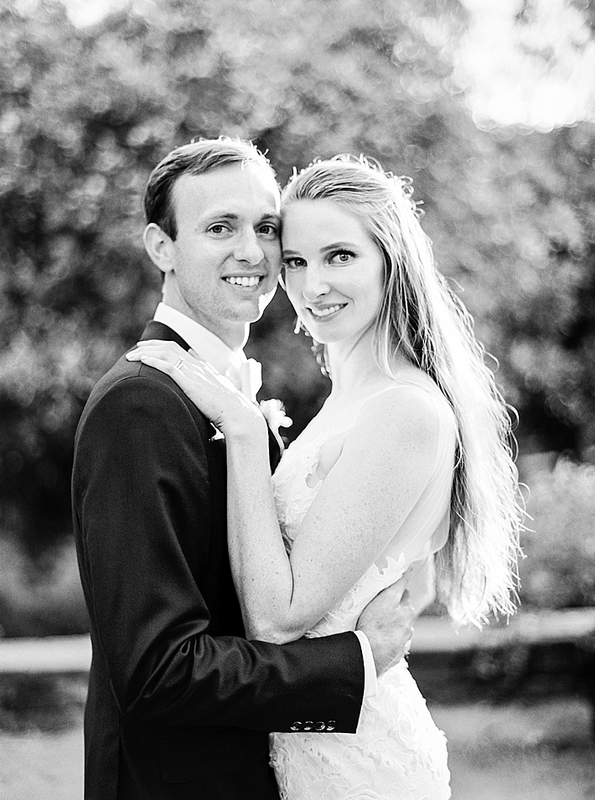 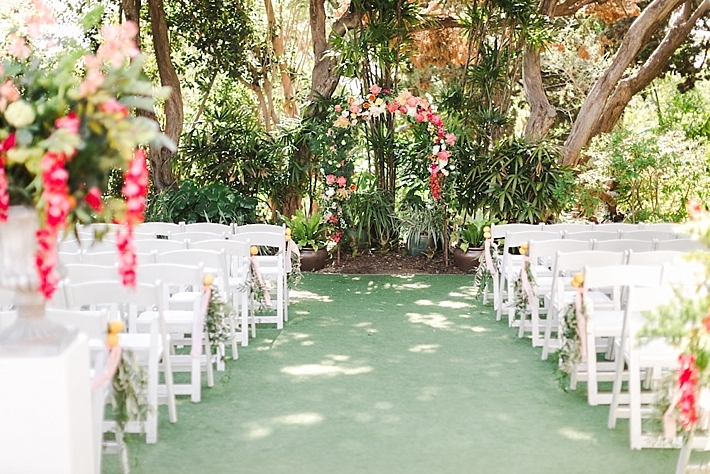 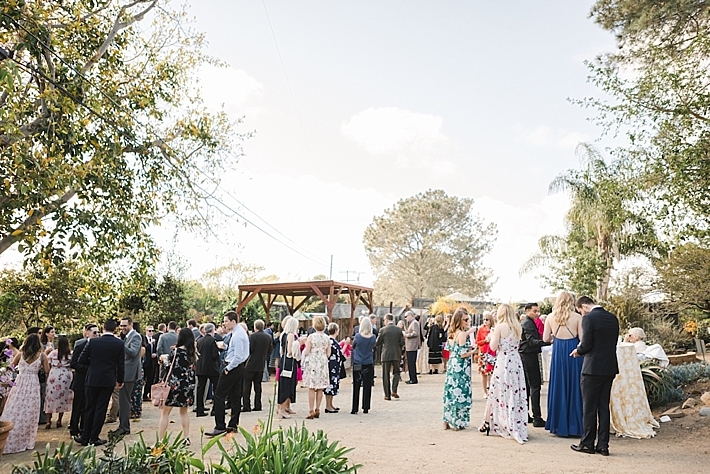 The ceremony was surrounded by the lush greenery of the gardens in an intimate courtyard. 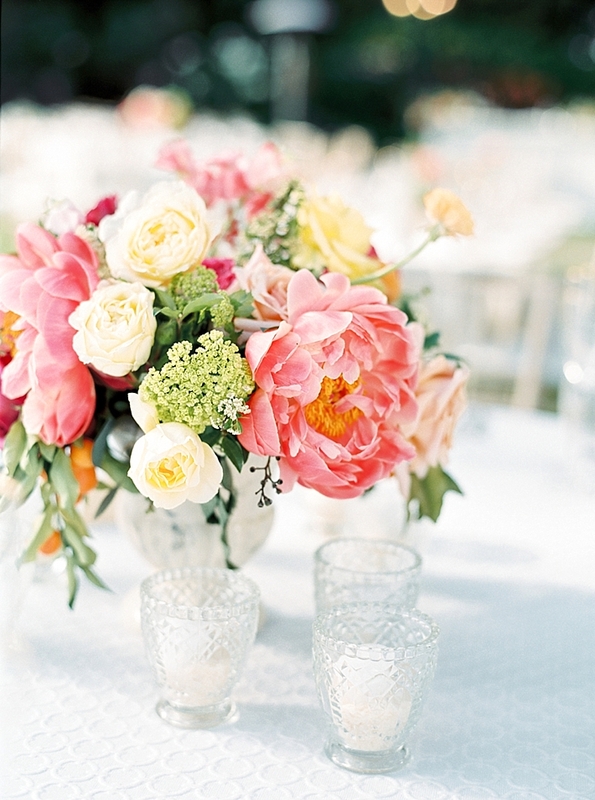 Pink, yellow, peach, and green arrangements gave a stunning pop of color to the space. 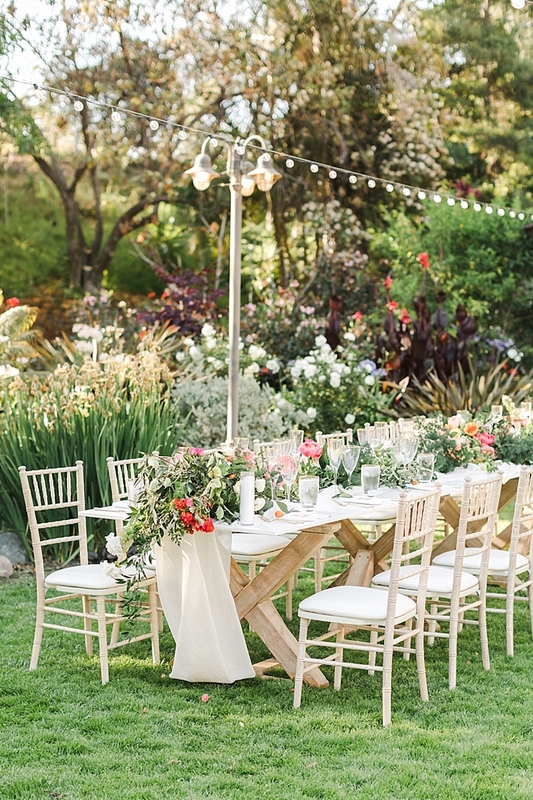 For their reception, Ashley from Coastyle Events designed a gorgeous summer outdoor reception on the gazebo lawn. 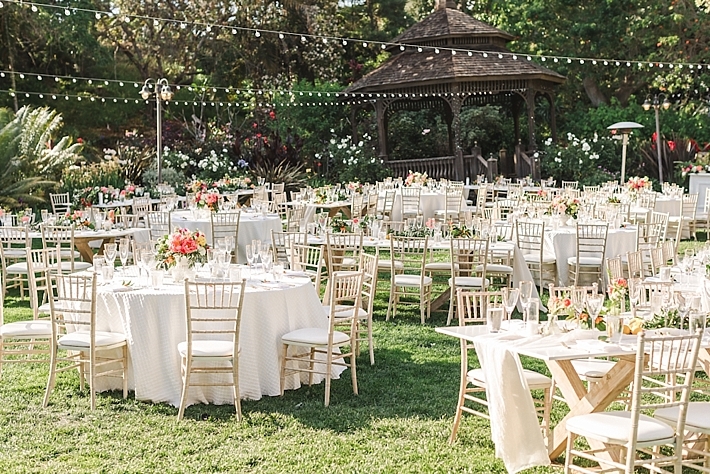 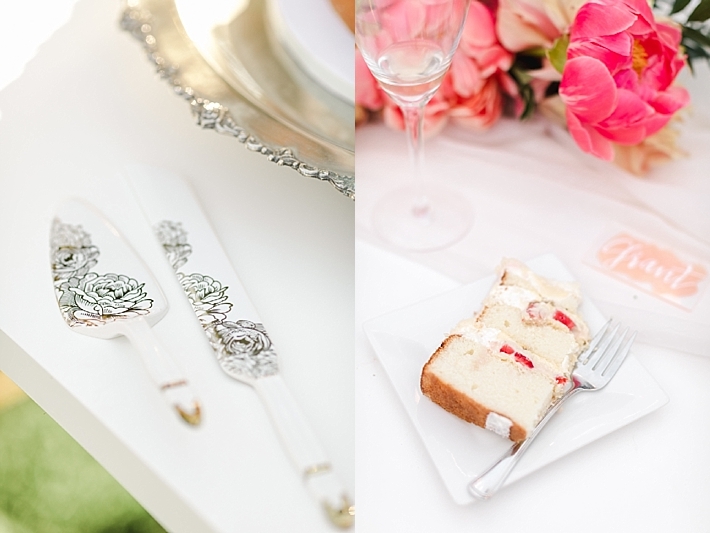 White farm tables were mixed in with rounds that were covered in a thick and luxurious white linen. 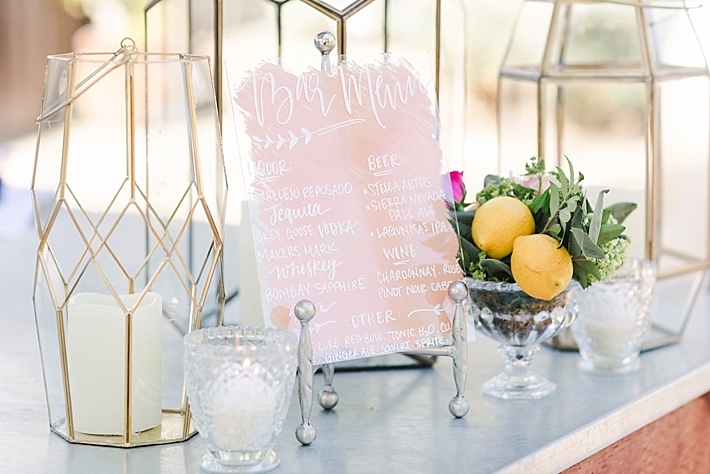 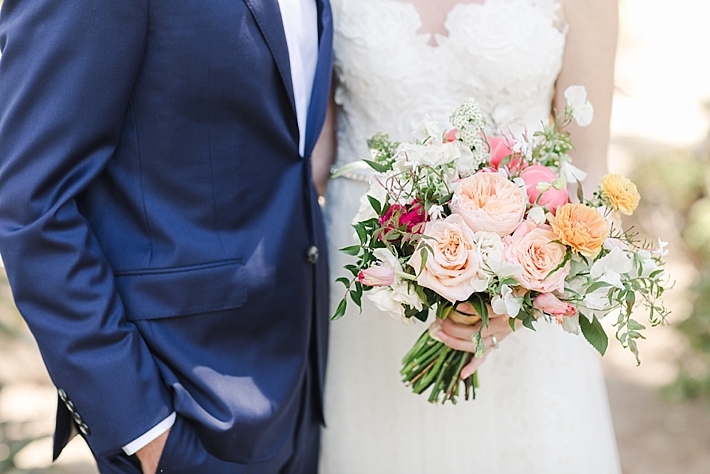 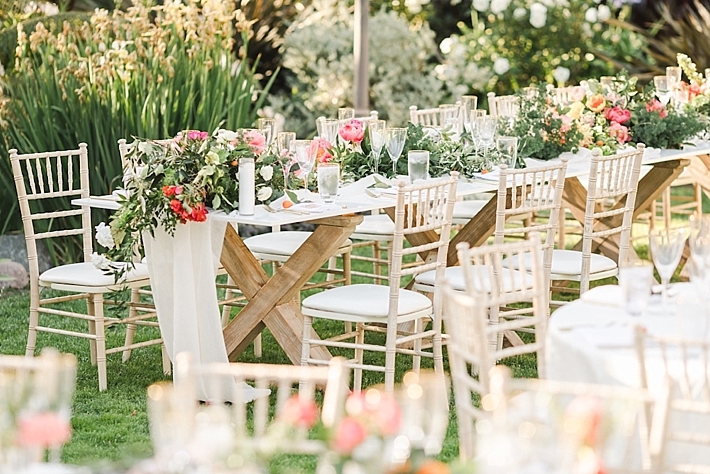 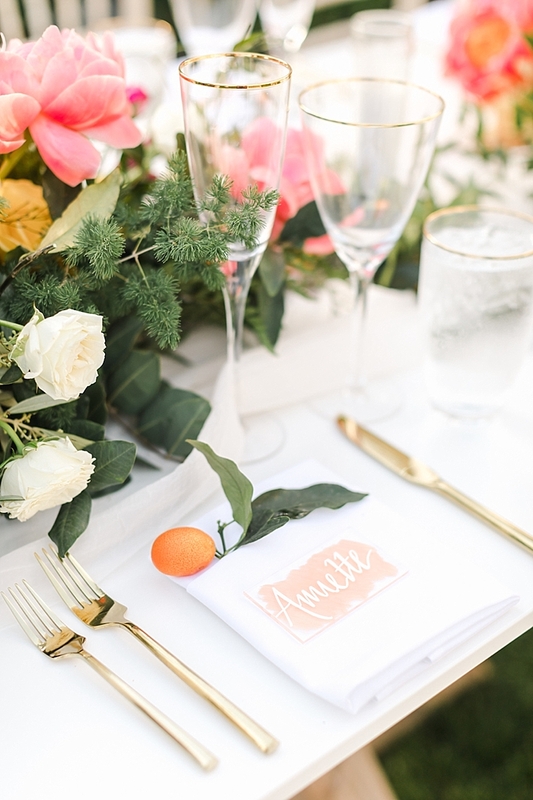 Blooms by Breesa Lee made the most beautiful pink and peach arrangements that made the reception just colorful enough for this early summer wedding. 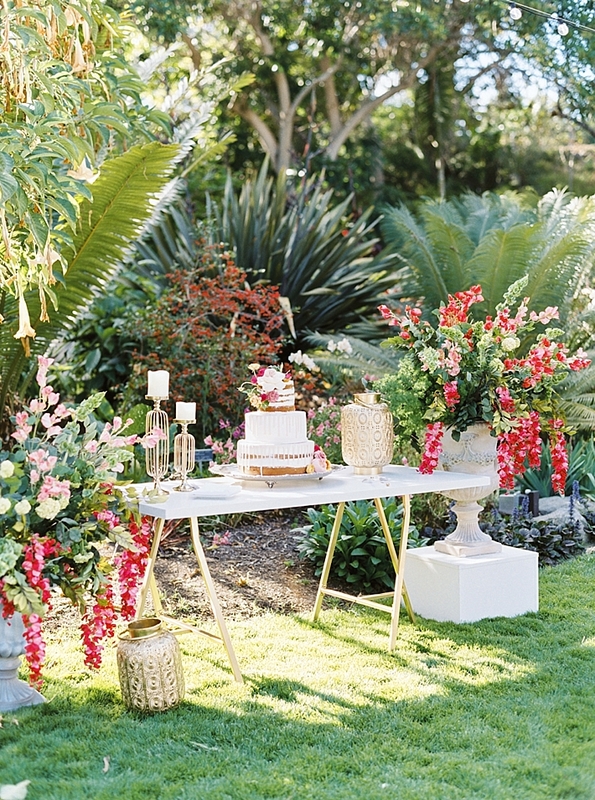 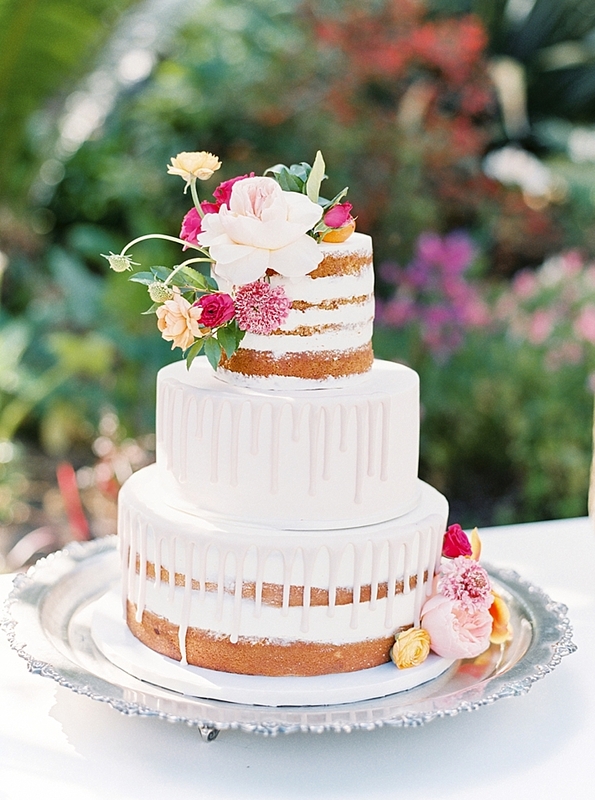 A three tiered partially-naked cake adorned with flowers sat atop a white table from TBD San Diego surrounded by lush arrangements from Blooms by Breesa Lee.